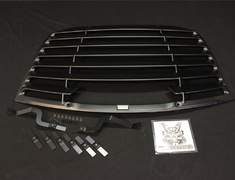 TRD Louver at our lowest price ever! The TRD louver has quickly become an 86 owner favourite and we are happy to offer the genuine TRD part at a new lower price! Supplied direct from Japan and shipped anywhere in the world, the TRD louver is a great upgrade to separate your 86 from the crowd.